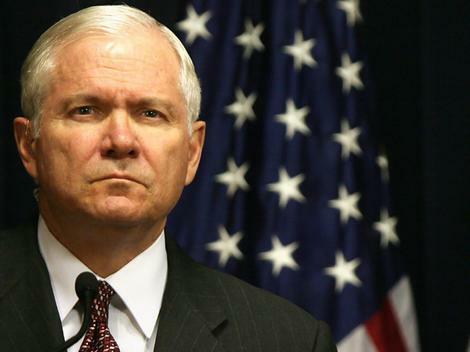 San Francisco (Obama.net)- The United States Defense Secretary Robert Gates recently conducted an interview and made it clear that he sees his tenure as the Defense Secretary coming to an end once and for all in the near future. As one of the most important members in the Obama Administration, the announcement comes as an important one that leaves President Obama with a lot to think about. Gates said that he chose the year 2011 because he believes “that it would be a mistake to wait until January 2012,” and leave Obama with the task of finding someone good enough to replace Gates right at the beginning of the campaign season for the 2012 Presidential Race. Despite Gates’ adamancy about stepping down in one years time, some are not too sold on the plan. Furthermore, Gates previously said that he was planning on staying until the end of 2010, a set date that is already being pushed back by his new claim of staying into 2011. Despite his desires for retirement growing, his work ethic is not shrinking. Gates recently set a plan in motion to close down a military command in order to find nearly one hundred billion dollars in the military budget to be put into better use for the next half decade. Gates is also likely to remain in office through 2011 in order to help President Obama select new men and women to take over other military jobs that are to be opened up in the coming year.